If you were a child of the 80s, chances are, you had at least one set of Shrinky Dinks of your favorite Saturday morning cartoon characters. 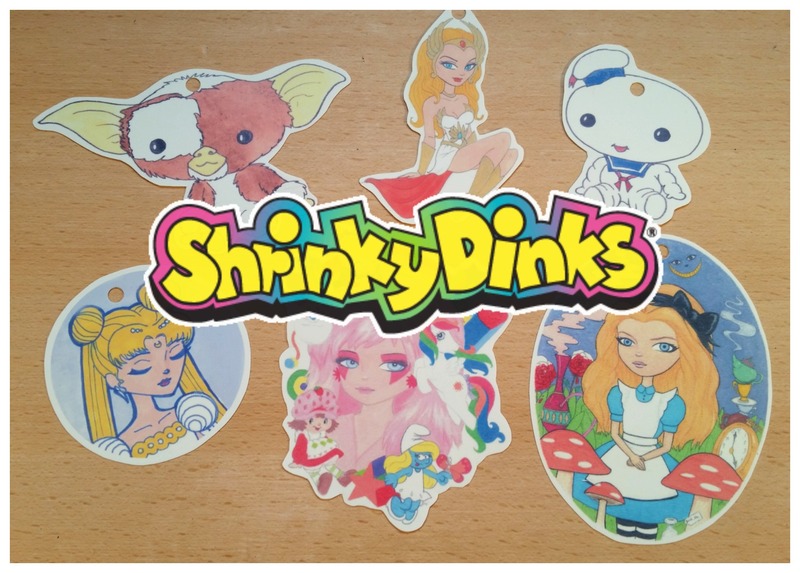 If you don’t know what the heck I’m talking about, Shrinky Dinks were these sheets of magical paper printed with famous cartoons that you could color in, cut out and then put them in the oven and they would shrink up into a smaller version of your art but they were thick durable plastic. Many times, they would come with a tiny plastic stand so that you could display them upright. Well today, not only can you still find some Shrinky Dinks in modern character themes, you can also buy blank sheets to draw on yourself and now they offer printable sheets for your home printer! I tried them out for the very first time and was both excited and a bit discouraged because I had wanted to see my own art turned into tiny little plastic pieces. 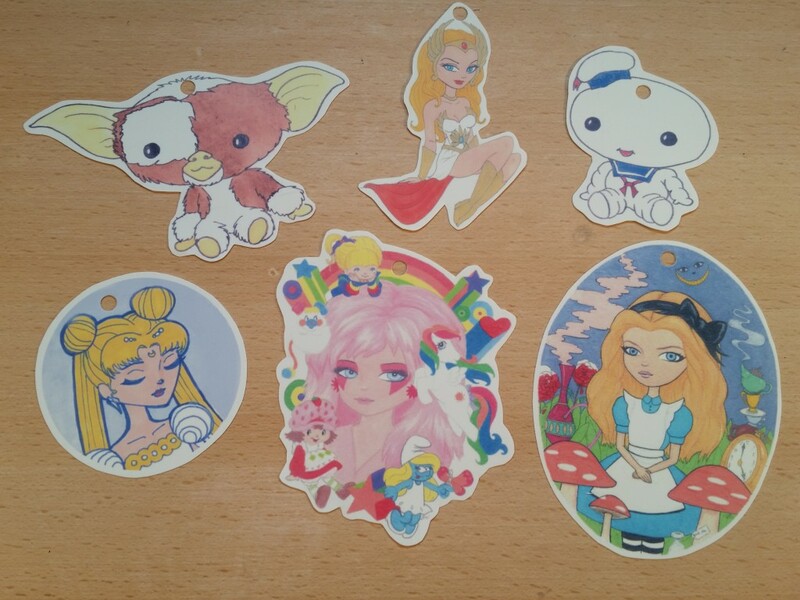 The Shrinky Dink material is easy enough to use when it comes to the printing and cutting. The problems came with when it was time to put them in the oven. I baked them and they would curl up. Since I am not a master of this product, I panicked and tried to straighten them out in the middle of baking. I may have panicked too soon, they might have corrected themselves. So in the end, I got a few that turned out badly but again, this was my first time. I also incorporated another product when I did this demo. I used Ultra Thick Clear Embossing Powder. This is a powder that you shake over the baked Shrinky Dinks and return them to the oven for baking and then it melts into a hard clear glaze. That part of the demo seemed to work very well. 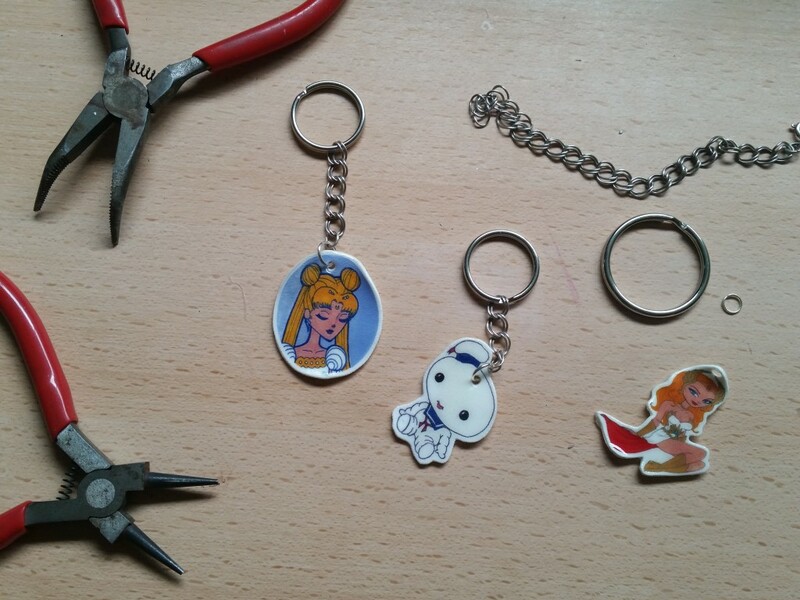 So check out the video below and see my process on how I went about making my custom classic cartoon Shrinky Dinks. Just saw this video. Great demo. Baking them, when they curl up, they do flatten out to an extent but that didnt really help much with the warping. Aside from that, some of the pieces actually burned and turned brownish on me. There was no winning with that ink jet stuff on my end. I had the same exact results, I thought it was just me, but seeing that you got the same issue I did, its definitely that paper. I also did not like that rough, bumpy texture as opposed to the smooth feel of the shrinky dink that you cannot print on. I assumed that is because the ink jet one needs to be porous in order for the ink to set. With the glaze, I had the same issue as well. It also easily cracked and bent for me, ripping right off the shrinky dink. Have you tried this with the ones you can draw on yet? I wonder if the result will be different.